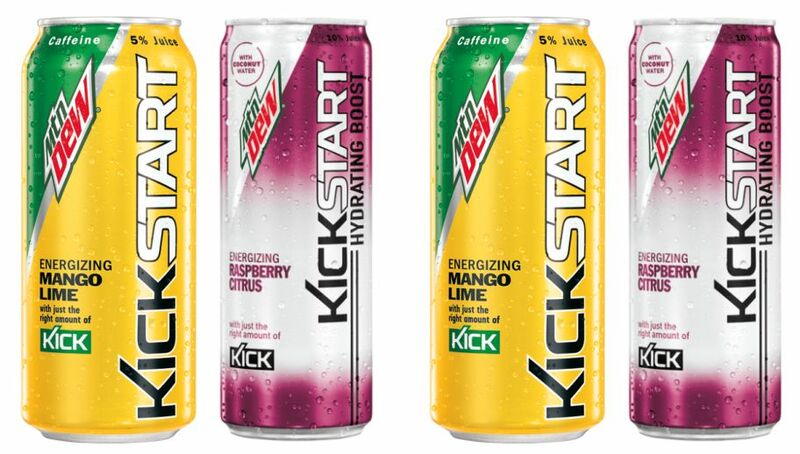 Mountain Dew adds two new flavors to their Kickstart line of caffeinated fizzy juice drinks: Mango Lime and Raspberry Citrus. Like the rest of the line, Mango Lime and Raspberry Citrus are available in 16-oz and 12-oz cans, respectively. The cans can be found at retailers nationally for a suggested price of $1.99. 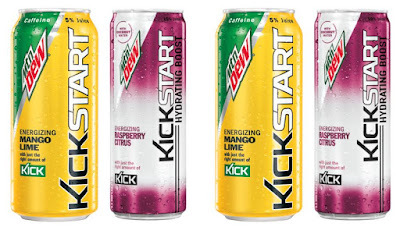 The two new flavors join a selection that includes eight other flavors: Orange Citrus, Fruit Punch, Black Cherry, Midnight Grape, Watermelon, Blueberry Pomegranate, Blood Orange, and Pineapple Orange Mango.